ANYBODY GOT A GOOD EASTERN SHORE STORY TO TELL? I asked my Facebook friends to tell me an Eastern Shore Story. Nora Cannon: “Remember only needing 18 credits to graduate high school, and getting out on ‘work release’ if you had a job as a senior? Chuck Kerr: “I broke my leg water skiing in Mid July before my senior year in high school. After a month in traction, in the hospital they put me in a body cast. Three days later I was cleared to go home. Called my dad the day before telling him I was to be released the next day. He bought a Gran Torino Station Wagon to get me home from the hospital in. Within less than two weeks I had figured out how to drive in that body cast . A few of us guys loaded up one night and I drove to State Circle to the movies in Annapolis. Drinking beer along the way . On the way back home, on Rowe Blvd., we stopped to take a leak in what looked like a Govt. Building that was closed for the evening. They jump out and are just about finishing by the time I get my crutches and get out myself. Four doors open. Four teenagers from the Eastern Shore, one in a body cast on crutches, are hiding in the shadows relieving ourselves. We are right by a front door. We noticed in the back parking lot a bunch of cop cars . Easy to see because they had that big bubble on top. Just about this time one of us read the sign outside the front door. Cathy Kramer: “I could blow this post up but let me just give you some brief topics to remember – Life on the Island before the 2nd bay bridge and the New High Narrows crossing. The Tastee Freez that employed all us ‘local girls’ and some islanders would just park their hot rods there every summer night – and one particular Bruce rode his horse and took ‘breezin the freez’ to a whole new level. 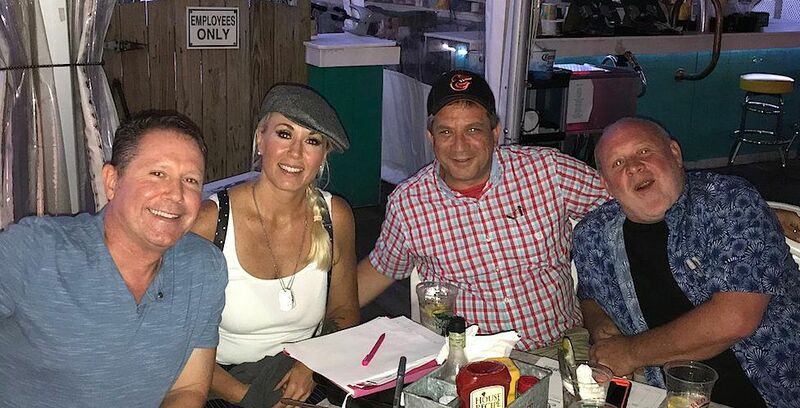 Our next live filming of Love Letters to the Shore will be at the iconic Carpenter Street Saloon carpenterstreetsaloon.com in St. Michael’s on Saturday, September 22! Come out and watch the shoot! If you have, or someone you know has, an Eastern Shore story, or a unique perspective, that needs telling on-camera, let us know in advance on our Facebook page or drop us a direct message. Great stuff, Brent. There’s a novel in a couple of these tales. Thanks, Mala! I think I’ve been living my research! I have really enjoyed reading all of the stories people have posted. It does bring back alot of memories. I thought some of us Dominion kids were bad. Some of you have us beat big time…LOL. I have little things I remember but nothing really worth writing about. I do have one really good one, but I think family members would be upset if I told it but it was funny….We laughed until we cried. .
Really happy you liked the post, and thanks for taking the time to comment! You can do what I do with stories people wouldn’t like me telling – I change the names and call it fiction! This is awsome! Reading all these post from our hometown freinds! I love to reminsce all these memories, sure puts a smile on my face! Thanks Brent, you rock!! Glad you enjoyed Nan! Thanks for participating!